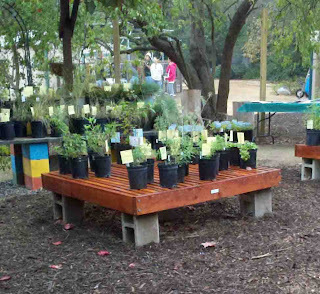 Agromin donated four cubic yards of organic mulch to the Shipley Nature Center in Huntington Beach. The mulch was the finishing touches of Shipley's landscape rejuvenation and came just in time for its annual plant sale. Pictured is part of the donated mulch that Shipley used to complete its renovations. Agromin's 100% organic premium mulch is a perfect complement for the mission of the nature center. Opened in 1974, the Shipley Nature Center is an 18-acre fenced natural area within Huntington Beach Central Park. It is an ecological sanctuary for California native plants and wildlife and provides environmental education in an urban setting in partnership with the City of Huntington Beach and the local community. The center includes 4,000 feet of well-maintained trails through several habitats including oak woodlands, Torrey pines, meadows, a pond, a natural freshwater wetland with mature willows and sycamores. Its 1,500 sq. ft. interpretive building includes exhibits on local wildlife and ecology. For more information on the center, go to www.shipleynature.org. Agromin's earth-friendly products are available in Orange County at Rainbow Disposal in Huntington Beach. Visit Rainbow Disposal at www.rainbowdisposal.com.